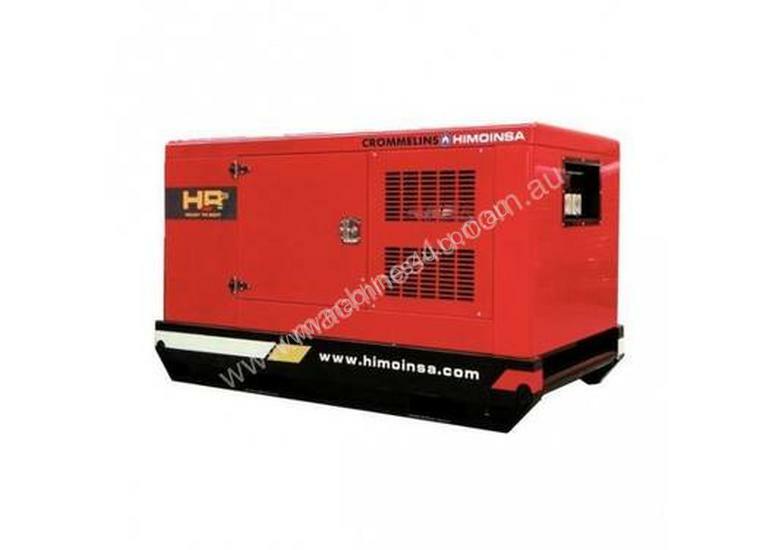 The 35.0kVA Himoinsa Rental Super Silent Generator is a premium product, specifically designed for the rental market. Powered by a Yanmar diesel engine and a Stamford alternator for single and three phase power, the generator set is designed to offer ease of use, higher return on investment and to comply with the noise and safety requirements. With super silent soundproof canopies, the Himoinsa 35kVA offers exceptionally low sound emissions suitable for events, residential construction and nightworks. The large 100+ litre fuel tank provides 24 hours of continuous power and the fully bunded base offers oil and fuel spill containment in sensitive environmental zones. The easy operator interface allows quick setup where uptime is critical and is easy to operate for anyone in the industry. It is housed behind a lockable panel for easy access and maintenance. When power is needed in rugged conditions, this generator is rough, tough and ready to go. A robust steel casing with weatherproof panels protects the generator and the heavy duty metal skid plates and central lifting hook make manoeuvring the generator a breeze. All these features and more mean the generator is ideal for applications such as construction, emergency response, back-up power for offices and manufacturing, events, telecom and utility support.